In previous blogs we talked about the many positive changes and opportunities that SuperStream has brought about through the services that the ATO provides, but what about the benefits to super Funds? When will the pain of implementation finally give way to benefits? It should come as no surprise that super fund administrators indicated recently that they feel as though SuperStream has been a constant source of interruption to their normal operations. To keep things in perspective this is one of the largest changes the industry has had to manage since the launch of the superannuation regime itself. The ongoing fine tuning to the legislation leading up to the 30 June deadline for large Employers resulted in ever increasing system and procedural changes for superannuation Funds and their impacted service providers. This proved not only a time consuming but costly exercise in order to meet the June deadline, and with small Employers next on the list of compliance, there may well be more implementation challenges to come. Funds understandably feel as though SuperStream has detracted from key activities around member engagement both due to budgetary and time constraints. With the introduction of Single Touch payroll looming in the horizon, Funds are understandably nervous about the impact this may once again have on their operations and the additional costs this may bring. Whilst the rollout of this latest change has been deferred, there is still apprehension that this will once again lead to further disruption to Funds and Fund administrators, and again maintain the focus on Employers rather than members. Although implementation challenges may continue there will be benefits to SuperStream for Funds as a result. Business leaders themselves recognise this and are seeing this ahead of those at the operational level charged with implementing IT and business changes. One of the key positives to come out of SuperStream is the opportunity to engage with Employers to discuss solutions to best meet their compliance obligations.This in turn forges a stronger relationship between Funds and Employers which can only be positive. Additionally, many administrators have made significant investments to superannuation improving processes and superannuation platforms which will no doubt streamline the way they operate and result in efficiency gains. Benefits from straight through processing and staff training will pay off in the long term once all Employers have transitioned and Funds are able to operate under a common set of processes for all Employers. These will definitely benefit operations in the long term, however there may still be a few implementation challenges ahead before the real gains are evident. Lilian is a Senior Consultant with IQ Group and has extensive experience in delivering a broad range of end-to-end projects, with experience in requirements management, software testing and test team management. Technology and innovation can be ‘game-changers’ in financial services, and now the Government has shown that it recognises this opportunity as well. While the technology and innovation parts of the Government’s response to the Financial System Inquiry won’t get as many column inches as the recommendations directly addressing banking and superannuation, they are every bit as important. The Government’s response released this week says that it is positioning itself with the ‘disruptors’ in relation to new payment methods, better use of customer information and other data and the establishment of trusted digital identities – and that it wants to get rid of blockages. Some of their measures of success will be in removing legislative obstacles to innovation; ensuring that Government agencies have a sufficient understanding of technological capabilities, limitations and risk; getting these agencies to work together in an efficient and consistent manner; and being informed about what’s happening around the world and in the Australian private sector. The establishment of a public-private Innovation Collaboration Committee is a step in the right direction. Its purpose will be to help emerging firms and start-ups with an entry point to Government. This will need to be simple, straightforward and streamlined to ensure that it doesn’t just become another layer of bureaucracy. The commitment to technology neutrality is another positive. Technological neutrality provides the freedom to choose the best technology for development and use, without having to worry about or be locked into specific technology required by regulations – or worse, being required to use outmoded technologies. I conducted an audit of the business cards in my suit pocket and can reveal that eight out of the ten cards still contained a fax numbers, despite fax machines generally gathering dust in dark corners of most offices – if they still have them. This may be merely quaint but a requirement to send documents by fax or post locks in an outmoded means of communication and gets in the way of developing better, more efficient technologies. These roadblocks are commonplace in superannuation and financial services, and need to be addressed as a priority. There are overlaps in the data provided to APRA and the ATO, and many more efficiencies can be introduced into the way data is reported, and the learnings from SuperStream and Standard Business reporting can be adapted for a range of expanded purposes. The Government is going to task the Productivity Commission to examine broadening access to and use of data, so that organisations can identify new opportunities, develop innovative products and lower costs. I hope this process will also remove obstacles to efficient use of data in a way that serves the best interests of customers. While this needs to provide privacy protection, it must also do so in a way that is useful and meaningful for consumers. One of these initiatives will be started this year – together with the review of Cyber Security Strategy – and is the Productivity Commission review into the use of data. The Innovation Collaboration Committee will be started in the middle of next year, and the technology neutrality in financial sector regulation will further be considered from the end of next year. And the timetable for the development of a Trusted Digital Identity Framework is yet to be confirmed. One thing that is certain is both better use of data and the lack of technological neutrality are crying out for urgent action. 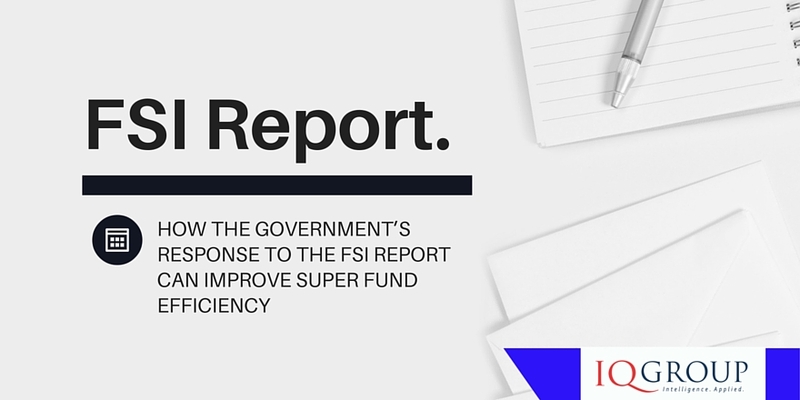 Super funds are in a prime position to provide the Government with examples of the inefficiencies they face in their operations and their interactions with regulators, and show how these get in the way of providing a better member experience. This Government is committed to the reduction of red-tape and these issues provided plenty of. As super funds improve Straight Through Processing, complete implementation of SuperStream, and introduce increasingly sophisticated data analytics, there are many opportunities for productive partnerships that can benefit from the Government’s renewed focus on improved technology and innovation outcomes. David Haynes is Executive Superannuation Policy Advisor at IQ Group and is a member of the Structural and Thought Leadership Group. 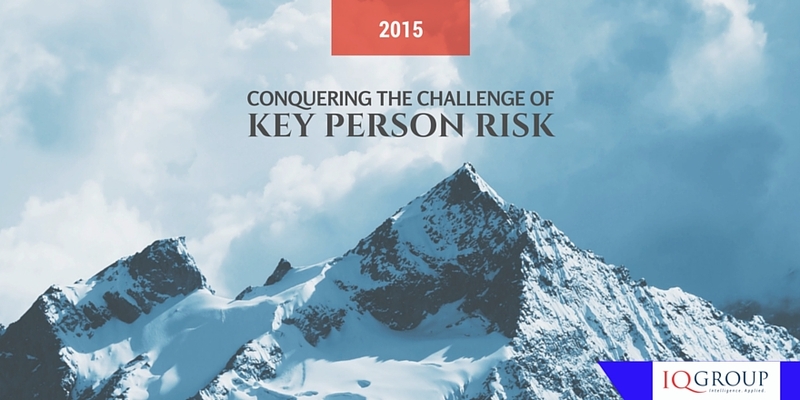 When discussing risk both people and organisations immediately think of financial risk. Seldom are people considered a risk however the knowledge and information key people possess and access on a daily basis is just as important for the ongoing survival of any organisation. Key people within an organisation act as a reference point for others – their knowledge of procedures as well as their ability to find and share information quickly is a very real asset. But what happens when they go on holidays, retire or simply move onto another organisation? How do you ensure you retain and are still able to find this information? This is where a document management system can help. An effective document management system can potentially offer many benefits that will not only improve your ability to find documents but facilitate collaboration within an organisation. Employees benefit by the introduction of file saving standards, keyword search facilities (through the use of metadata) and a central repository for all documents removing the need for long complicated directories that over time, become cumbersome to search. Employees can spend a significant amount of time looking for data within their own organisation. This reduces their ability to complete their tasks efficiently resulting in frustration and in some instances, duplicated effort. In addition to key person risk common document problems within an organisation range from lack of file saving and naming standards, stagnant processes that prevent or limit efficiency gains (doing something the same way because that’s how it’s always been done) and the risk of personal files being saved on personal drives. The inability to quickly locate information can result in anything from a mere inconvenience to significant embarrassment depending on the nature of the information lost. The way information is maintained by organisations has evolved significantly, moving from paper based filing cabinets to network file sharing and now to the implementation of document management systems. This represents a significant shift which, if managed well, can lead to a wealth of benefits for both employees and the organisation as a whole. Features such as versioning and history tracking allow users to easily access a document’s history and changes within a single document without the need to store multiple versions of the same file. This leads to both efficiencies at the point of collaboration and in terms of physical file storage. Additional benefits offered by a document management system include the mapping of processes for document approval, application of security to sensitive/confidential documents, the potential to allow remote access to documents and the potential use of the cloud to store information (subject to data security requirements). The initial short term investment in an effective document management system will secure your organisation’s intellectual property despite staffing changes as well as provide long term benefits to employees as well your organisation. The result will be evident through the efficiencies that will improve the way you operate internally and in turn with your clients if the move to a new system is managed correctly. In our first blog of this series we reviewed how A Fund’s digital strategy doesn’t stand alone. Like any other strategy, it needs to be grounded in the Fund’s business strategy and link clearly to Fund objectives. Our second blog took a look at what may stand in your way of building this strategy. Our final blog in the series reviews how a digital identity is the cornerstone for digital strategies. A digital strategy that has its roots in the Fund’s business strategy must also imbed the concept of “digital identity”. Digital Identity is the electronic information or data that distinctively characterises an individual, group of individuals or other entities and is one of the cornerstones on which a Fund’s digital strategy will revolve. 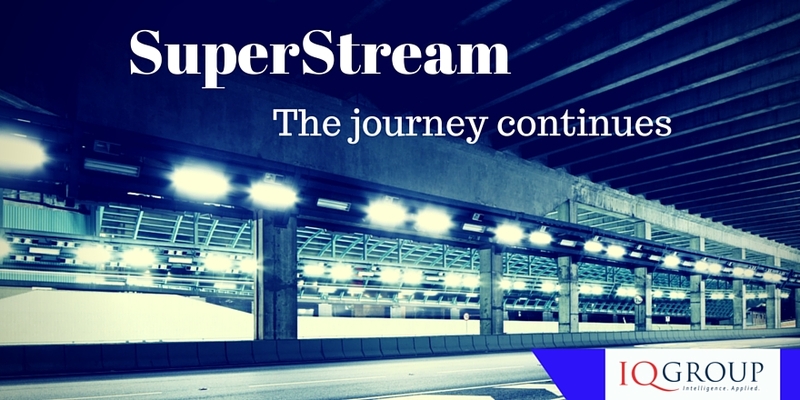 Advancement in electronic communication such as SuperStream is a great initiative and addresses elements of this risk while introducing some efficiency. Efficiencies in the superannuation industry are usually welcomed with open arms by the majority of stakeholders, from members and trustees to key service providers as it drives cost down and improves service to members. Rollovers across APRA regulated Funds are now flying through the industry at a rapid pace – well over one million rollovers a year – thanks to the efficiency focus of SuperStream. Super Funds transferring super from one account to another, setting up new members and updating member details will certify an identity through the ATO using their Super TFN Integrity Check (SuperTICK) service as part of their overarching process. If SuperTICK is unavailable or if the ATO cannot verify the identity, a Fund will request certified copies of the member’s ID in order to mitigate the risk of getting the identity wrong. SuperTICK is important in supporting reliable e-commerce transactions. The ATO has estimated that it will save $50M annually in reducing the cost of POI checks, but it’s not the whole answer. True efficiencies are only as good as their weakest link but basic electronic checks are not enough either. Online services exist that allow Funds and administrators to prove an individual’s identity electronically. However their footprint in our industry is relatively small; and if utilised, typically still involve manual processes. This may include inputting member details in an online portal that is then run against multiple data lists sourced from various institutions for a potential match. These include public sector and some private institutions (e.g. GreenID). If a match is not found, the paper-based check is the fall back. 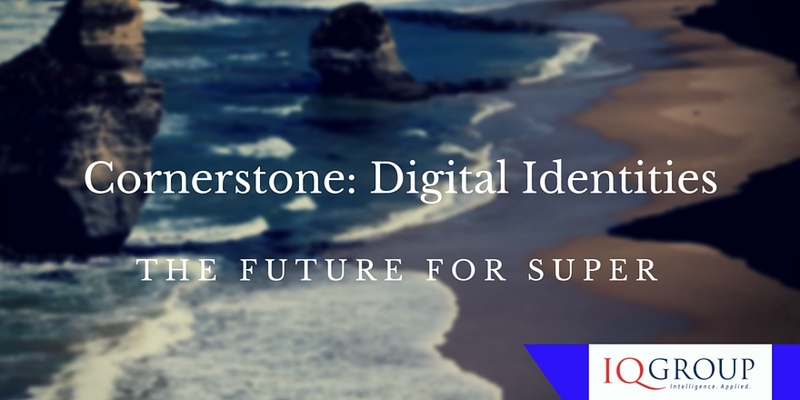 Digital Identity could be that stone, but we need to make sure the stone is the right size and shape, understand whether or not Digital Identity is being used efficiently in other domains and how the lessons in those domains can be applied to the Australian superannuation industry. The current application of Digital Identity in industries both locally and overseas offers a good sign post to Funds and trustees considering a future digital strategy. In other industries, usernames, email addresses and passwords continue to be the most common methods of verifying digital identity but these approaches are also evolving and changing. Existing user profiles established under social media networks can now also be used to verify identity for login to other websites and mobile applications. For example, a number of sites offer registration and/or login using a Facebook profile. The evolution of Digital Identity solutions has started and the Super industry in Australia faces its own dynamic when it comes to effectively harnessing Digital Identity to take their online service delivery to the next level. Members, Employers and even the regulator are now active participants in the end-to-end process of Super member identity creation. While the concept of a member-centric Digital Identity is still embryonic, the services such as SuperTICK and external ID checks present Funds with opportunities to start their Digital Identity journey. Funds that are first- to-market in adopting a digital identity solution will be looking for member and Employer stickiness to match the product loyalty of digital device managers. In our first blog of this series we reviewed how A Fund’s digital strategy doesn’t stand alone. Like any other strategy, it needs to be grounded in the Fund’s business strategy and link clearly to Fund objectives. This blog takes a look at what may stand in your way of building this strategy. So, you’ve put together your digital strategy, and you realise the impact of your transformation on your structure and operations will be profound. But the next step – bringing together different systems and applications in a co-ordinated way – systems integration – is your next major challenge. The online world has enabled the digitisation of a range of business capabilities, from new business (member onboarding), to access (member and employer portals), to analytics and reporting, as well as member engagement and other campaigns. Regardless of whether these services are supported in-house or delivered by external suppliers, alignment and integration at business and technical levels is essential. Getting this wrong can be the cause of endless frustration, inefficiency and lost opportunity. It can also serve to undermine your single view of customer and result in poor data which of course directly impacts the customer experience. Ensuring proper alignment requires the co-operation of product, administration and technology, and ideally supported by a systems integration specialist. Ultimately, the products on offer determine the business capabilities needed to administer them, and this determines the technical capabilities. The costs and capabilities of existing systems (or bringing in new ones) will influence business process and product design. In all areas of running a super Fund, business decisions are now also IT decisions. Super Funds are looking to create or provide access to additional data analytic tools, multiple channels to engage with members, and platforms that facilitate the use of data and new ways of engaging with members. All of these strategies require the involvement of tech executives from the get-go, and not after key decisions have been made. Regulatory environment catching up to technological capabilityWhile legislation is slowly embracing new and emerging technologies, there are many areas where regulations and regulators lag behind the capabilities of these technologies.Collaboration between heads of product, administration technology and compliance not only ensure the balance of competing needs but will lead to a better understanding of the issues, and help light the way forward. However, resolution will only come when super Funds are also a part of advocacy to government – both directly and through their industry associations – to identify and reduce these roadblocks. 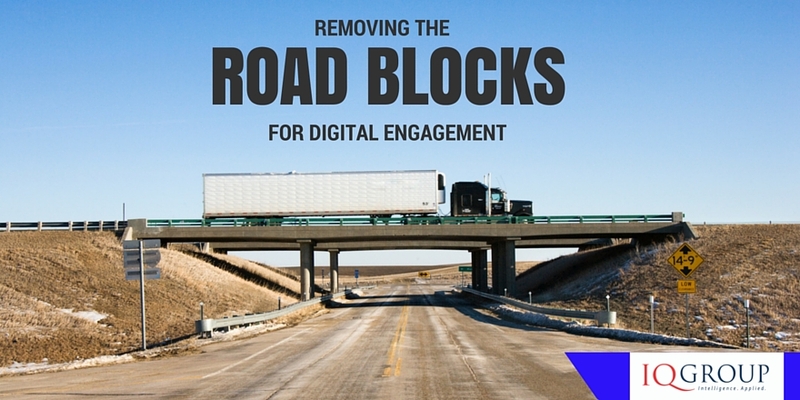 In many instances, these regulatory roadblocks are not just operational issues for super Funds but are also examples of red-tape that compromise overall efficiencies that can be gained with a solid digital strategy. Stay focused on innovation developmentAssuming the rate of regulatory change will continue in Australia, Funds need to find a way to incorporate regulatory change into product and business innovation. In short, this is a risk management, compliance, governance and indeed, whole-of-business issue that robust technological integration, systems and business alignment supported by a solid digital strategy can help to mitigate. Digital onboardingOnboarding processes are ripe for change. In the digital era, there is no compelling reason for super Funds to offer the face-to-face option to sign up new members or other member and stakeholder interactions. Flexible delivery, including a digital face to face option is the way forward. Leveraging the cloudCloud based computing solutions, for example, are increasing being deployed by Australian Funds for their potential benefits in data storage, retention and access. However, issues of data residency, privacy and security continue to complicate the use of cloud services. APRA has issued guidance about using the cloud but this need to better balance the opportunities offered by the cloud with appropriate risk management.Providers have now responded to many of these issues and data centres are now well established in Australia providing domestic solutions with varying degrees of security, Business Continuity Processes and Disaster Recovery Processes. With appropriate risk strategies in place, “risk” can no longer be used as the overall reason for dismissing the cloud as part of an encompassing digital strategy. Roadblocks by their nature can be moved. If they are seen as the immovable object on the journey to digital transformation, achieving true integration and alignment of systems and processes will continue to be unachievable.